Brief teases of business information attached to anything in your direct view pop up while using this new Google Maps mode. There's no release date at all whatsoever, and yet there's already an animal assistant. Hi, fox. 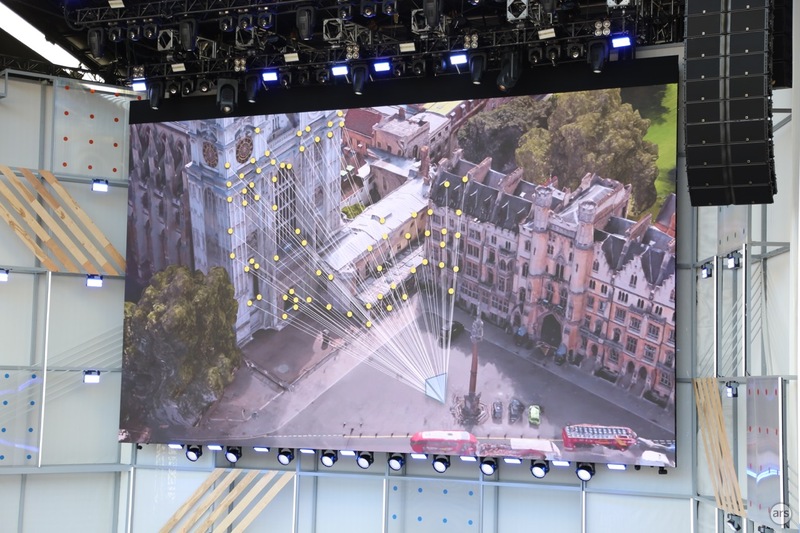 Google used its Tuesday I/O keynote to unveil a pretty killer new feature that may one day come to Google Maps: camera-assisted walking navigation. "Here's how it could—will look like," Google VP Aparna Chennapragada told the I/O crowd when unveiling a sample interface that combines Google Maps' 2D interface with the view from your smartphone's camera lens. A small semisphere of map data appeared at the bottom of the interface, while the camera perspective included bold images of where to turn and go—and floating panels that show information about businesses in your direct view. Chennapragada offered nothing in the way of a release date. "GPS alone doesn't cut it," Chennapragada said when describing how this camera-powered mode might work. She used that prompt to unveil a Google initiative dubbed the visual positioning system (VPS). It can "estimate precise positioning and orientation" based on images gathered by a user's smartphone. This Maps prototype follows Facebook's early-2017 reveal of a similar initiative meant to eventually run within the Facebook smartphone app. Facebook's vision also includes text highlights in a user's field of view with business-related tips, along with friends' notes, recommendations, and graffiti. Janet Jackson has opened up about her "intense" battle with depression, calling the experience "tena.. Welcome to Ars Cardboard, our weekend look at tabletop games! Check out our complete board gaming co..